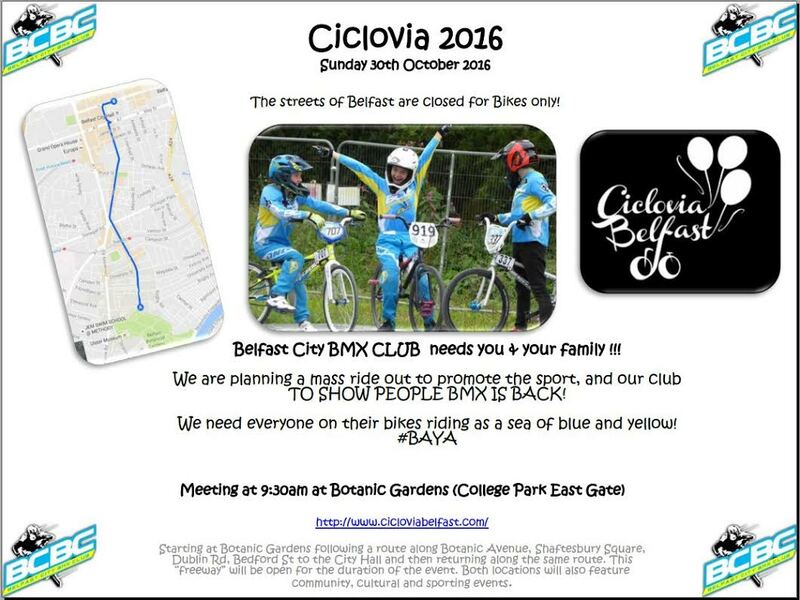 Ciclovia ride out - Belfast - Sunday 30th October 2016. The streets of Belfast are closed for Bikes only!! 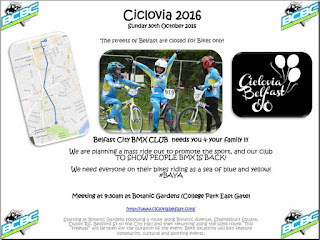 Belfast City BMX Club needs you & your family !! TO SHOW PEOPLE BMX IS BACK! Also Old School Bmx ride out or show and shine, get your Skyways, Mongooses and Burners out!